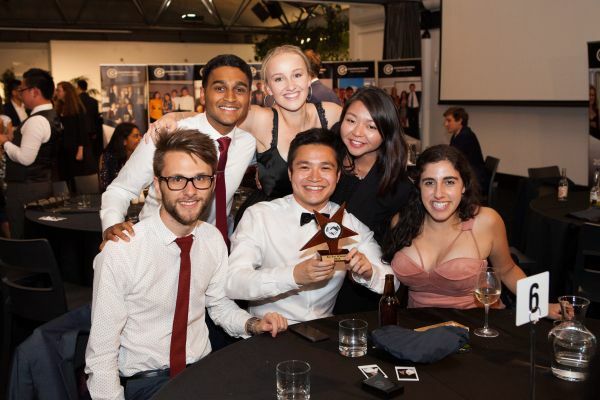 After a team of University of Melbourne students returned from the McGill Management Case Competition with the winner’s trophy in 2017, the stakes were heightened this year. Could the next team defend their title? 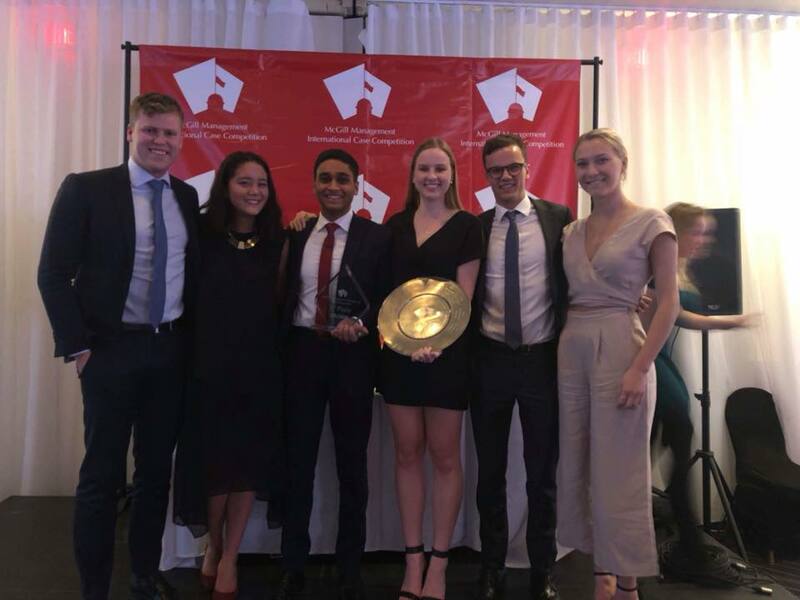 – L-R: Alumnus Co-Chair Ed Spence; University of Melbourne team members Lillian Brown, Dhanush Girish, Sarah Seery, and James Clements; and student ambassador from McGill University. 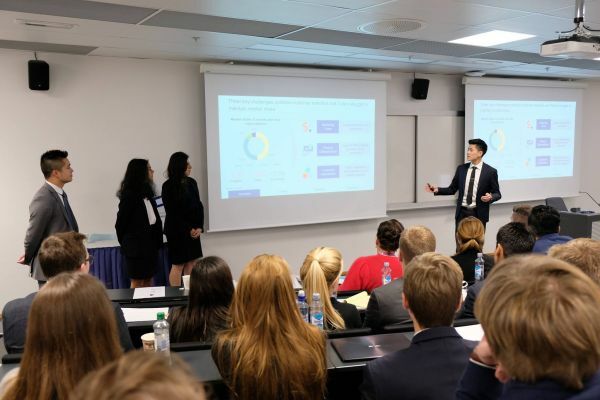 The University’s International Case Competition program has been providing BCom students with the opportunity to compete and learn on a global scale for nearly two decades. This year, the dedicated team of academics who support the program were joined by alumni co-chairs for the first time. Co-chairs, Laura Foo and Ed Spence reflected on their own case competition experiences when putting together a comprehensive training schedule for the 2018 participants. 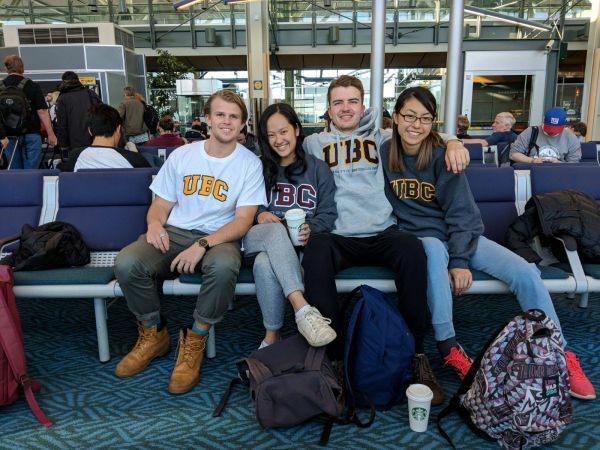 “The International Case Competition program allowed me to gain a taster for the field of consulting through the feedback and training we received from the alumni, most of whom are now in consulting.” – Shirley Tang (2018 Sauder Summit Global Case Competition, Vancouver). – L-R: University of Melbourne team members Casper Bjarnason, Christine Nguyen, Ben Falloon, and Shirley Tang. 16 Bachelor of Commerce students selected to represent the University embarked on their intensive international case competition training journey late last year. The students dedicated every weekend as well as many weeknights to learning the ins and outs of what it takes to crack a case, before heading to their competitions in Auckland, Oslo, LA, Vancouver, and Montreal. The case cracking process proved to be very challenging, but also extremely rewarding to the students. L-R: University of Melbourne team members Edwin Soon, Anya Chelvathurai, Philippa Bezas, and Shawn Li. 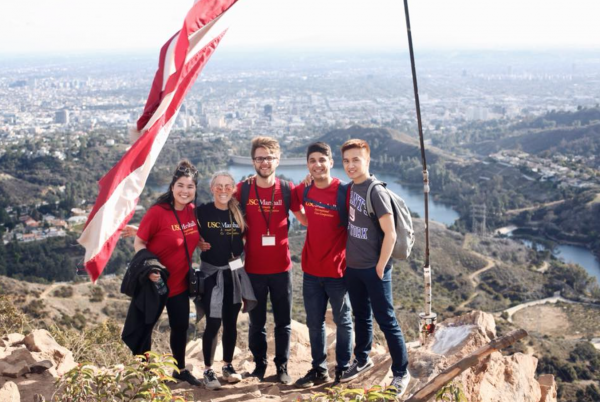 “Every student had their strengths, and each and every one of us had our weaknesses that we needed to address… but the beauty of the challenge was that we were all in it together, and it was incredible to see how everyone improved throughout the program. Funnily enough, my fondest memories of the program are the late nights spent in the FBE building, sitting around having UberEats dinner with the other teams, where, despite being 12 hours into a gruelling 24-hour case, we were able to laugh (and dance) our worries away.” – James Clements (2018 McGill Management International Case Competition, Montreal). - Top row L-R: University of melbourne team member Dhanush Girish; student ambassador from the University of Auckland; and alumnu Co-Chair Laura Foo. Bottom rom L-R: University of Melbourne team member Taylor Johnston, Edwin Soon, and Phillipa Bexas. Bachelor of Commerce students who are thinking about applying for the 2019 International Case Competition program or graduate jobs in consulting are encouraged to participate in the 2018 BCom Case Competition, proudly sponsored by Principal Partner, SPP. “Being involved in case competitions has gifted me the opportunity to refine both technical and interpersonal skills, such as presenting, creating slides on Powerpoint, and teamwork, all of which proved invaluable whilst undertaking an internship this past summer.” – Aleisha Hall (2018 BCom Case Competition Co-Chair; 2018 Marshall International Case Competition, Los Angeles). On top of the soft skills students can develop, finalists take home a share of the prize money, and the winning team gets a guaranteed interview to the International Case Competition program. Registrations for the BCom Case Competition open in O-Week of Semester 2, with the finals being held on Monday 13 August.